Is your blood pressure medication putting you at risk for breast cancer? Calcium channel blockers (CCBs), such as Cardizem and Procardia, are often prescribed to lower high blood pressure and improve arrhythmia (irregular heartbeat). They work by relaxing and widening blood vessels, which increase blood flow to the heart. Taken for a short time, CCBs typically have few to no side effects. But a study published in the August 2013 issue of JAMA Internal Medicine revealed some concerning findings. This study found that women who take CCBs for more than 10 years have an increased risk of breast cancer. Taking CCBs for a shorter period of time or taking different anti-hypertensives did not present the same risks. The problem is that blood pressure-lowering drugs are commonly prescribed for life. Christopher Li, MD, PhD and his colleagues at the Fred Hutchinson Cancer Research Center in Seattle conducted this study. It involved 880 women with invasive ductal breast cancer, 1,027 women with invasive lobular breast cancer, and 856 women without cancer as a control group. The women were 55 to 74 years old. The researchers found that women using the CCBs or more had a much higher risk of both ductal and lobular breast cancer than the control group. Use of CCBs has become more common in the past few years, so it's only recently that researchers have been prompted to study their long-term effects. Dr. Li and his team aren't sure yet why CCBs are connected with breast cancer, but he speculates that calcium channels may be involved in regulating cell death. When they're affected by CCBs, they may not kill off cancer cells appropriately. However, he emphasizes that this is just speculation, and more research is needed to fully explain the mechanism behind the relationship. Dr. Li notes that he was a bit surprised by the results and cautions, "Women shouldn't read too much into it or change anything they are doing right now." Of course, I would rather avoid something that's been shown to have a link to breast cancer. If you're currently taking CCBs, consider talking to your doctor to see if there's an equally effective alternative. 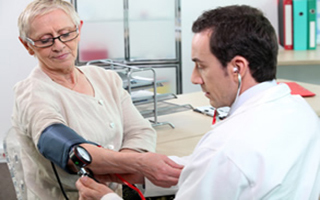 If you don't have blood pressure problems, prevention is the best medicine. Eating right, exercising, maintaining a healthy weight, and managing stress all go a long way toward keeping your blood pressure in a healthy range. You also can take a supplement, such as CircO2, that's proven to lower blood pressure. JAMA Internal Medicine, August 2013.